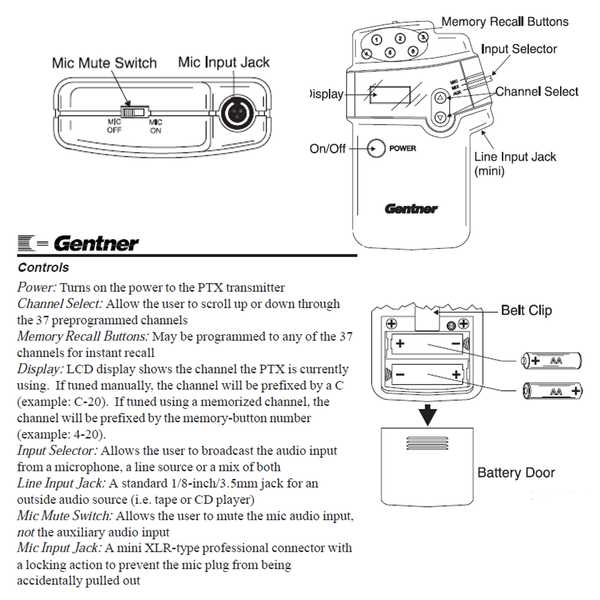 Designed to meet rigorous ADA specs and perform flawlessly, the Gentner PTX has audio inputs for both microphone (provided) and line (i.e. tape or CD player) sources, which can be mixed together. 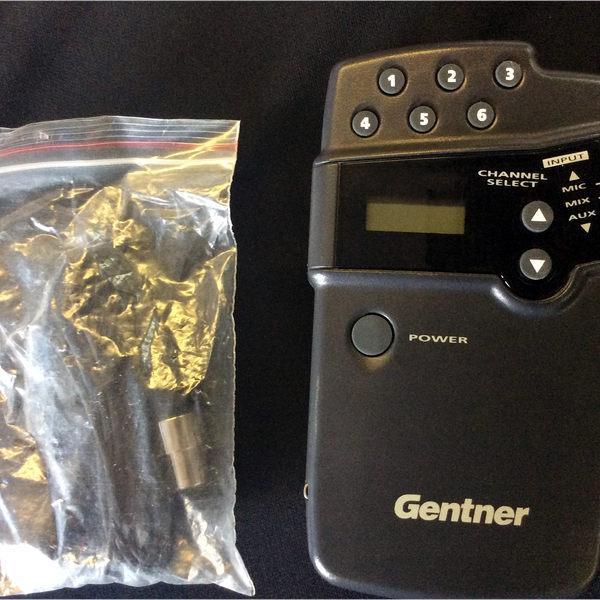 An audio processor shapes the input audio dynamics and frequency response to produce a signal with maximum intelligibility and minimal operator adjustment. The RF section is crystal-controlled for stability. Its digital frequency-synthesizer circuitry sets the transmitter to 37 of the FCC-approved Assistive Listening Band’s channels. Six user-assigned memory channels can be set to recall frequent-use channels.